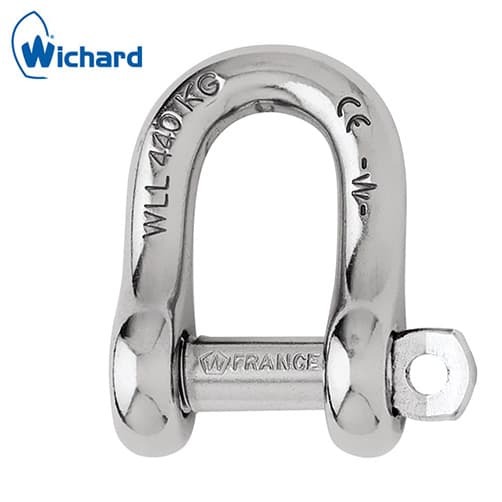 Stainless steel D shackle with captive pin suitable for highly corrosive marine environments, Wichard are renowned for their design and manufacture of high quality marine fittings. 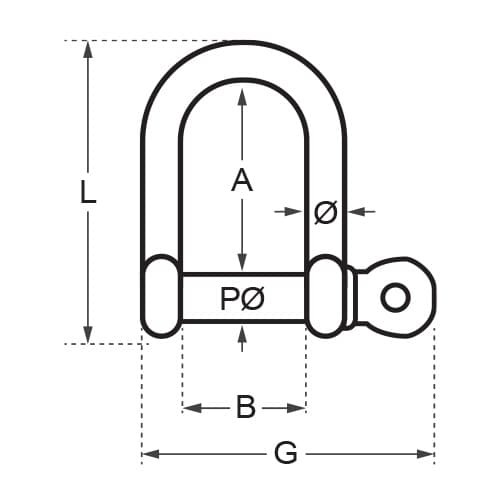 D shaped marine shackle. The captive pin is connected to the body at all times even when opened.